Ear of A Cow. Trippy Land. Hippies’ Paradise. 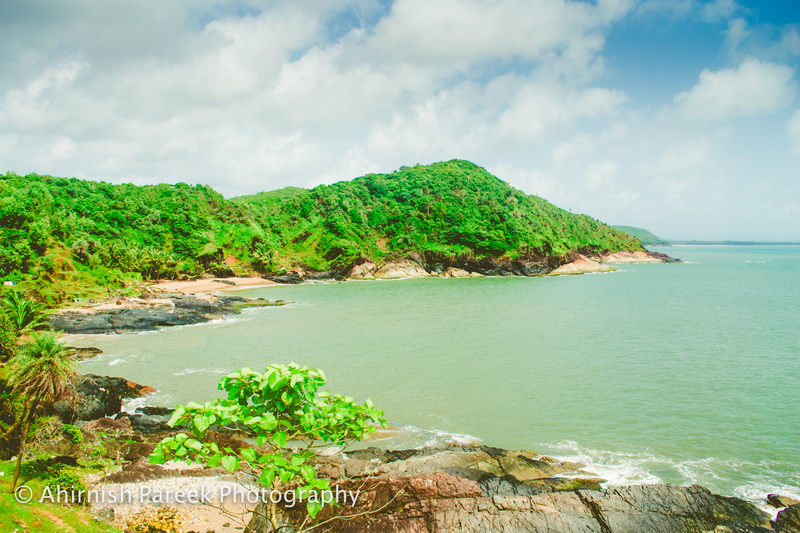 Gokarna is situated on the western coast of India in the state of Karnataka. 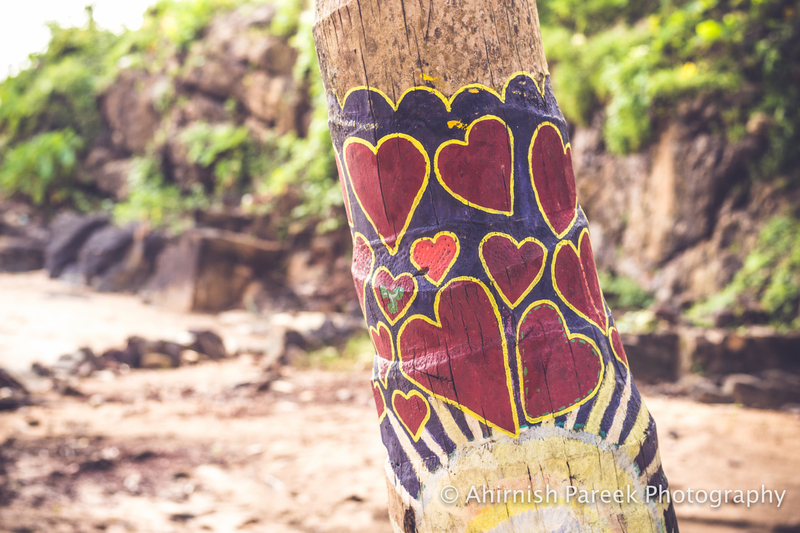 Strictly speaking, it’s a religious town with a central Shiva temple but over the course of time and due to its location and relatively cleaner and quieter beaches, it has gained recognition of a backpackers’ sojourn. 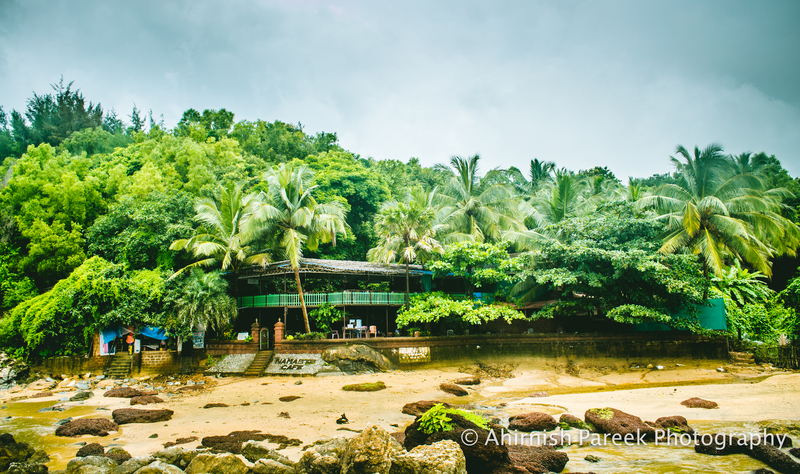 Main beaches of Gokarna are Kudle beach and Om beach. You can find beach-side shacks here which provide accommodation too. Best and most popular among them is Namaste Cafe. Situated on Om beach and better-than-perfect location, this establishment boasts a spacious, roof-top, Arabian Sea facing restaurant and cottages for stay. Further south of Om beach lie Half-moon beach and Paradise beach. Both of these beaches are secluded enough and have no shacks at all but much cleaner than Om beach. You can reach Half-moon beach either via a boat or by hiking along the coast-side on the hillock which cuts it off from Om beach. Paradise beach in particular is the quietest and most serene among all. On its way from Half-moon beach, you pass through a sea-facing, stage-like platform which looks exactly like the place where secret rave parties happen. 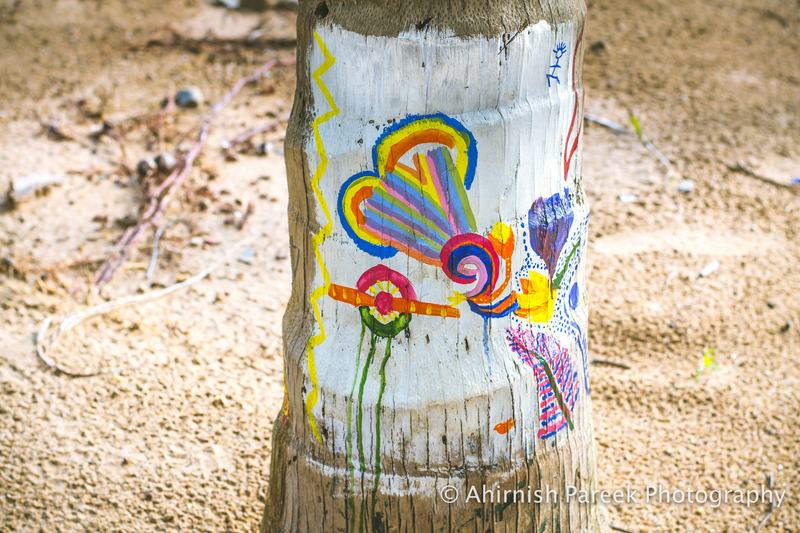 You will spot trippy, colorful designs on tree trunks and platform. You can even do camping there but do carry food items and batteries if you are planning to stay there on a stretch. Palm trees there have perfect distance between them for setting up a hammock. Paradise beach in Gokarna from the top. 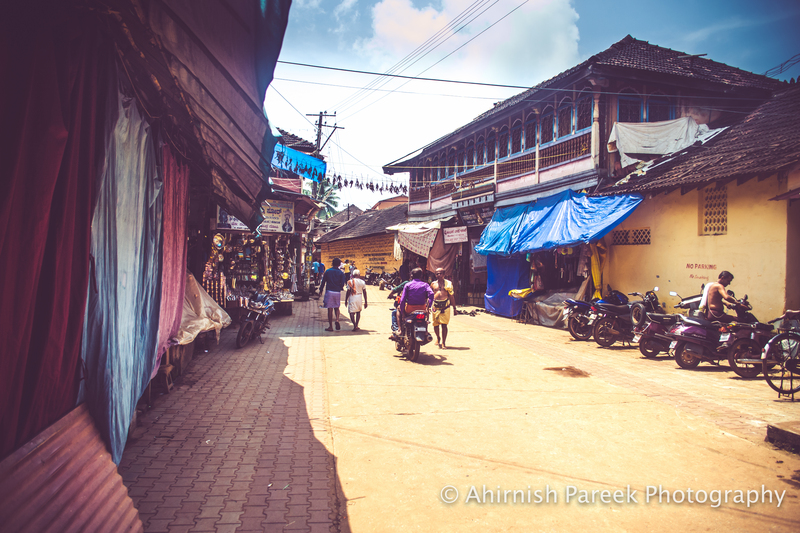 The other side of Gokarna, the town side is just like any other small town in India but its old. Its around 6 kms away from coastal area. 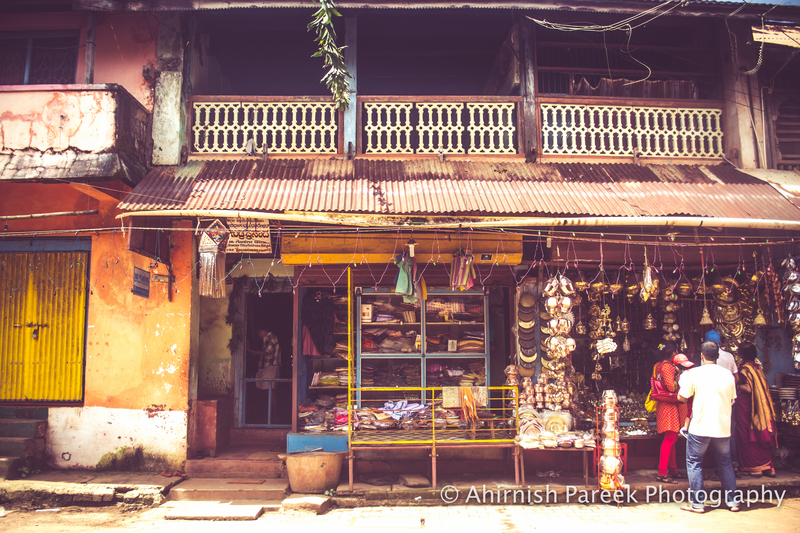 Majority of local people own small shops and sell things like clothes, utensils and household items. A famous Lord Shiva temple in the middle of the town is the center of all religious activities. 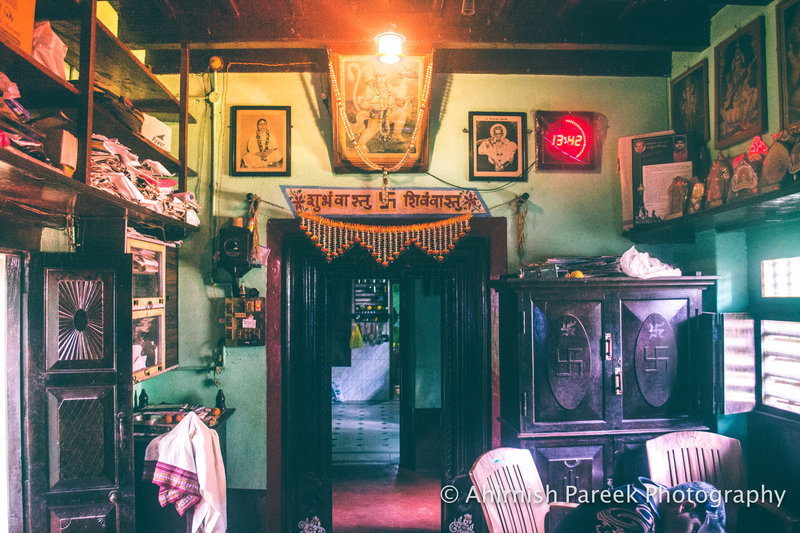 Most of the houses are ages old and exude retro feel. Not spreaded in a large area, you can roam whole of the town on foot. 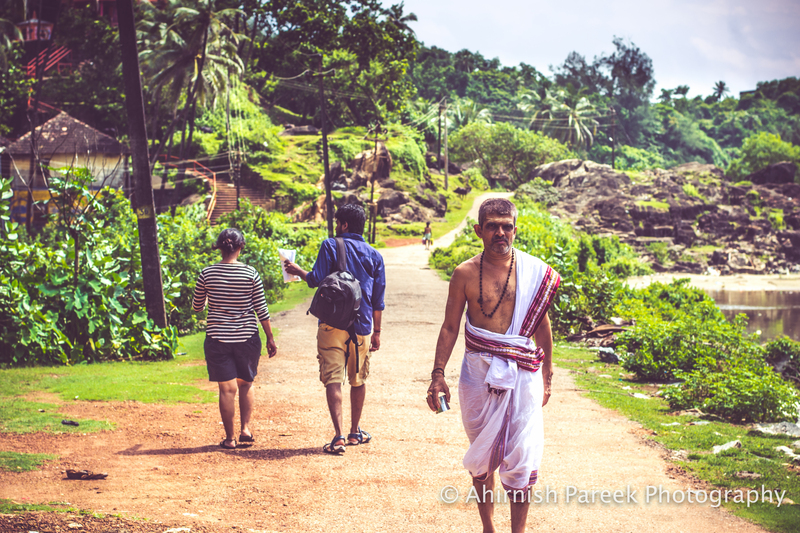 Although backpackers keep coming to Gokarna throughout the year but try to avoid visiting during rainy season (July-August). 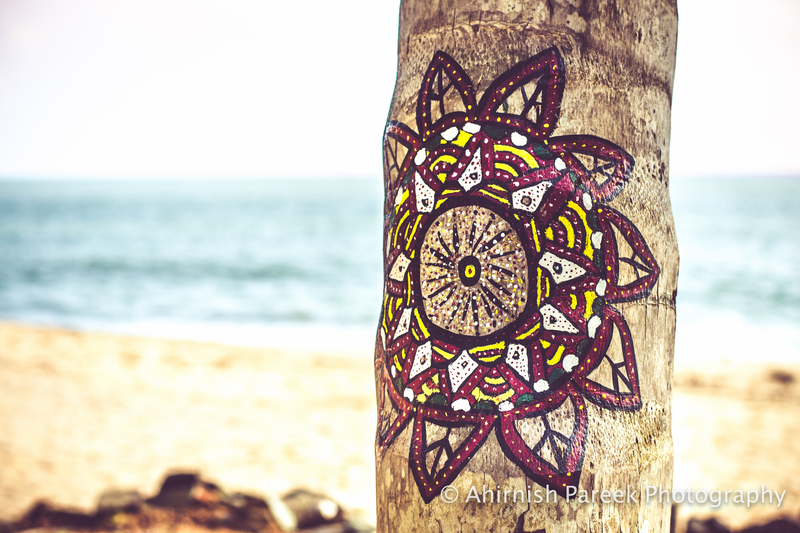 Best time to visit Gokarna is from October to February. Pack your sunglasses, sun-lotion and that book which you couldn’t finish. Get Tanned and enjoy this serene beauty. 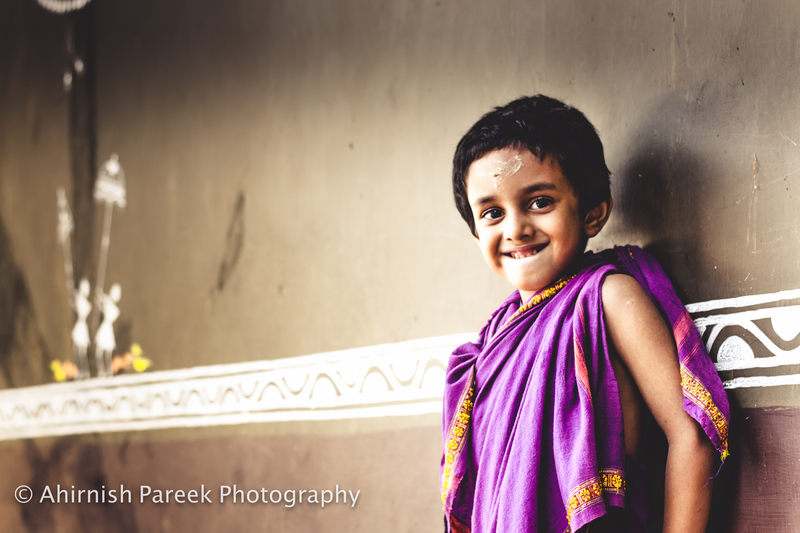 For more pictures of mine, visit Flickr. Great write-up! Nice to see your photos. We didn’t get enough in the rain. Beautiful place though.